Last year, all of our usual fake news sources were touting the Petermann glacier in Greenland as a poster child for climate apocalypse, with the BBC declaring Greenland to be ice-free. 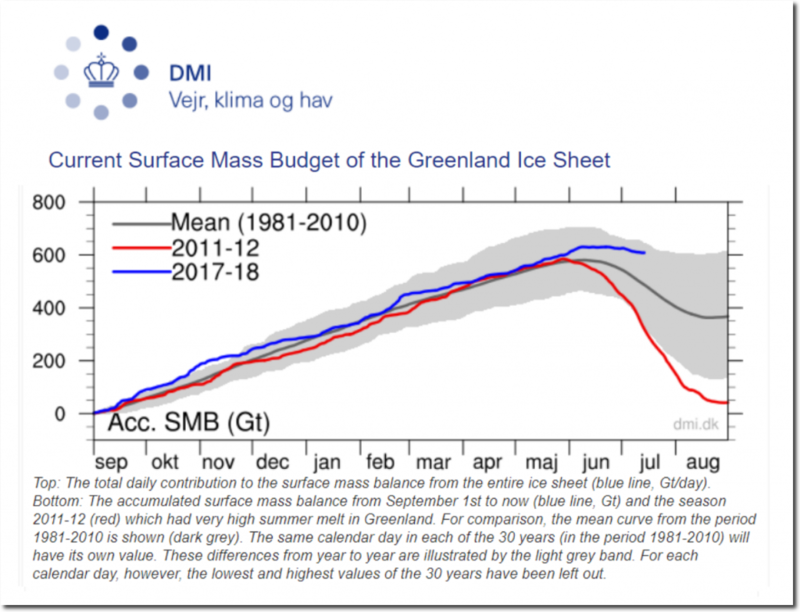 And the actual Greenland ice sheet has seen a 600 billion ton increase of ice on its surface since last year. Sea surface temperatures around Greenland are running very cold, and there is little melting going on. As far as I can tell, nearly everything the mainstream media reports has no basis in reality. That pretty much goes for almost everything they “report” these days if the subject could have anything to do with politics. The MSM itself has no basis in reality. There’s a report going around that people would rather watch cartoons than CNN. He’s really grasping at straws now. 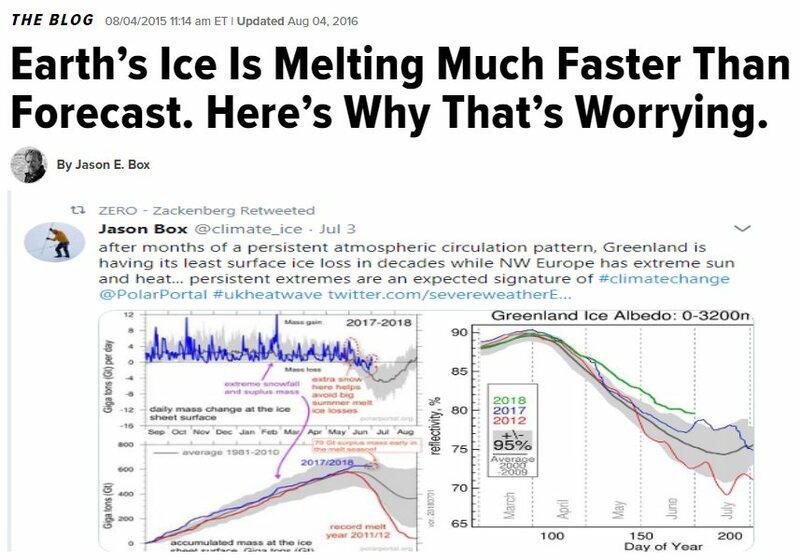 When this scam finally falls, we should remind them all constantly how wrong they were and how foolish they look, and how their lies will be their epitaph. 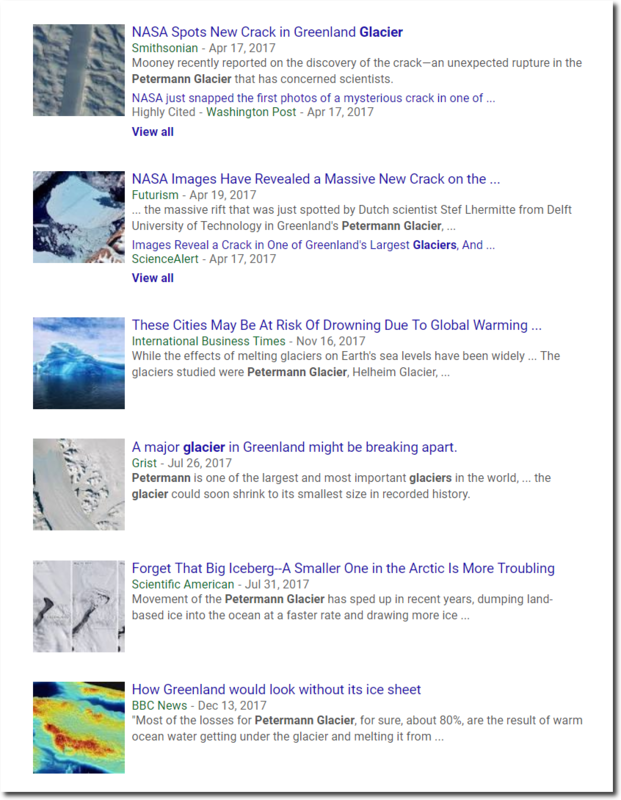 I’ve emailed the HuffPost regarding their article ” Massive Rogue Iceberg Threatens Greenland Community” written by Mary Papenfuss . I’ve asked them to correct a couple of statements that was made in article, I provided the latest Greenland DMI and UAH Global Temp data. What do you think are the chances I will get a reply? Once I became disillusioned about AGW, more disillusionment came. I began to be able to see how most of the ‘news’ is steered and manipulative. You helped me to become aware of that. Once ‘woke’, there’s no going back to the darkness. Disillusioned, I feel the same. The implications for our society, for institutions, and for science are huge, but it’s an uphill battle trying to get people to understand the existential threats these lies pose. It’s pretty shocking. Is there any possibility any of these liars can be prosecuted for fraud? Thanks for the comment, Sylvia. When I first became disillusioned, I thought all I had to do was show the data to my friends. I hit a wall, was labelled a denier (by those denying data) and realized then that the dynamics are more complicated. I have since all but stopped trying to get others to see. One must want to see. Today my MSN newsfeed (something I would rather not have but which Microsoft force me into) carried this . . . In fact since the same time last year, the calving front has *advanced* by about a km. But this isn’t mentioned. 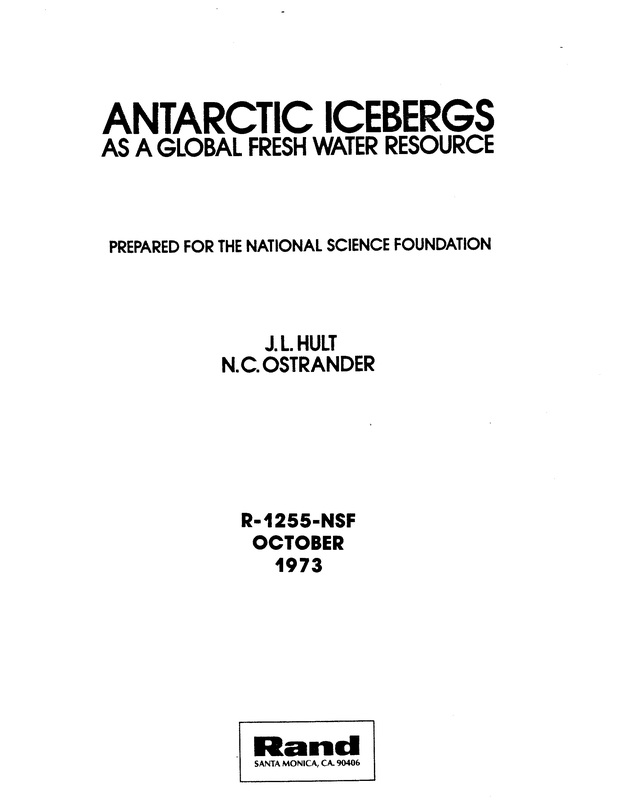 The NG article states “When ice that was previously sitting on land, like this piece of the glacier, falls into the ocean and melts, the ocean gets a little fuller. 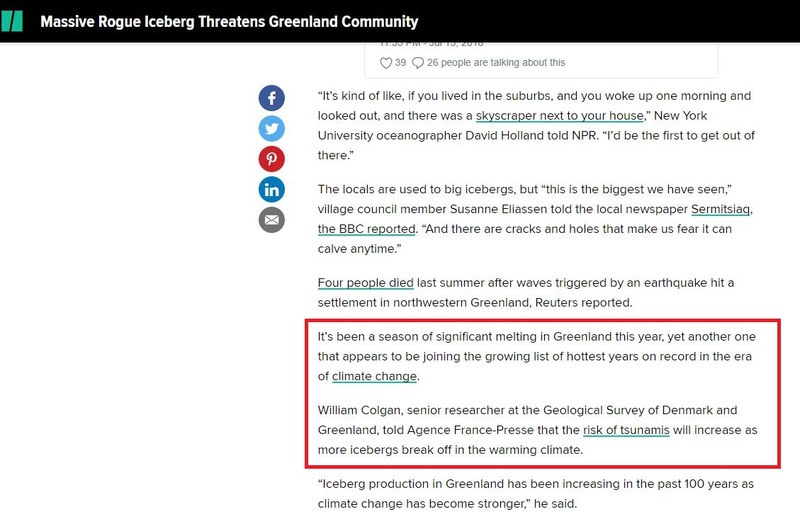 In other words, sea levels rise.” I’m still trying to find facts about this, but I’m pretty sure the calving front of the Helheim Glacier is floating . . . .
I’m not worried about Greenland, but I am VERY worried about the Great Lakes. You see, the average discharge of the St. Lawrence River is 593,300 cubic feet per second. This is one cubic mile every 69 days. The great lakes only have 5439 cubic miles of water, so at this rate, they will be empty in just over 1000 years. The impact on the American midwest will be devastating. That’s nothing. We have a much bigger problem and we can’t risk to wait 1,000 years to deal with it. If we don’t immediately drain the lakes into the ocean the water may spill over the continent and flood everything with 5 feet of water. I hate the idea of fording with just my head above water every time I go to the grocery store. And should Trump build a wall on the Mexican and Canadian borders it would dam the spillage in the lower 48 and flood the United States with 9.5 feet of water. That would be horrible for American families and workers, especially minorities, women and children. I hope Mueller gets Trump and stops this evil Putin plan! In 2009, the lakes contained 84% of the surface freshwater of North America; if the water were evenly distributed over the entire continent’s land area, it would reach a depth of 1.5 meters (5 feet). This is enough water to cover the 48 contiguous U.S. states to a uniform depth of 9.5 feet (2.9 m). It is way past time to put an end to this age old menace! Steve Parker is a fellow refusenik. We refuse using /sarc tags. Sarcasm. 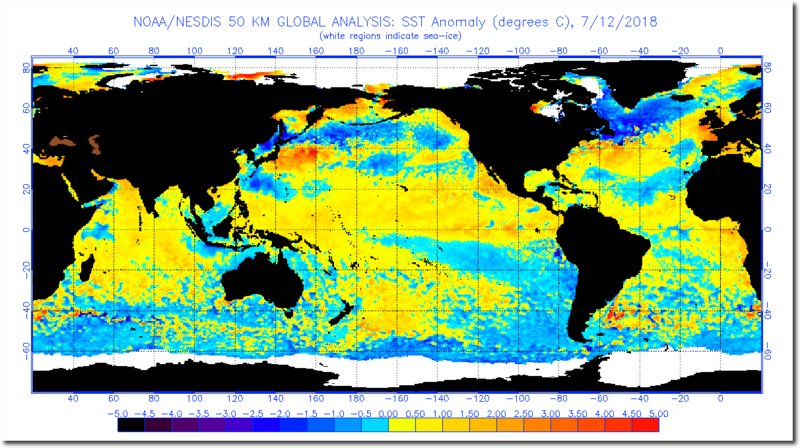 The point is that calving off Greenland is no different than rivers running to the sea. Greenland is not melting, but it is calving. And the rate of calving *might* be higher than the rate of new ice being added, but that is no more sustainable than flood flows on the Mississippi. Every evening I stand at a big central city station (it has 15 platforms) and watch the trains pull out – about one very 2 minutes or so. Each train (8 – 12 cars) must have more than 1000 passengers on board. And this is just one of a number of such stations that service the city. At this rate, our entire city will be completely empty in a few days! JCalvert: we need to hook on to that iceberg immediately and begin towing it to N. Africa so we can turn the Sahara Desert into a garden and start feeding people and giving them work to do so they’re not refugees any more. Can’t we actually *solve* anything, anymore??!! It matters not if the font is floating or not. They need to consider the surface snow and that is feeding the glacier. Saying that a glacier is calving is like saying the Ganges River runs into the sea. And in a monsoon, there is more water, glaciers just take a lot longer. It would be interesting to know the age of the ice at the face of these Greenland glaciers. I bet much of it didn’t exist before the LIA. 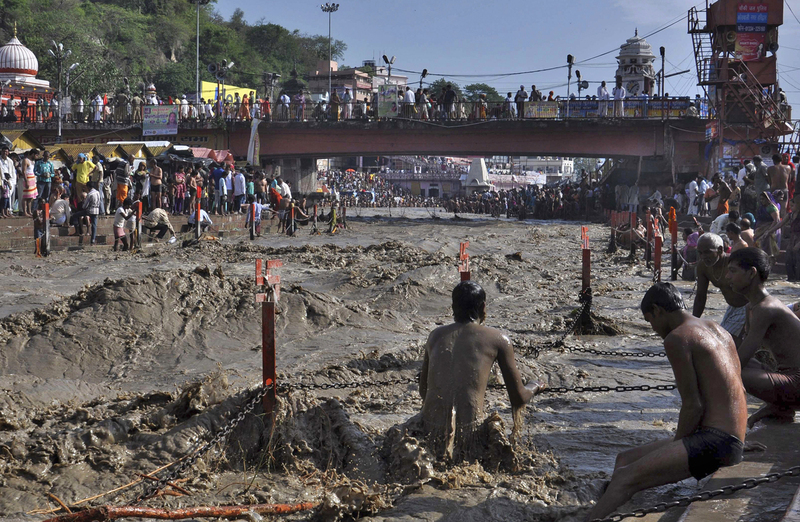 Consequently, if we don’t stop the Ganges River running into the Bay of Bengal, sea levels will rise and billions will be killed in coastal areas. what is your life expectancy swimming in that? Kinda ‘Monsoon Mudeo’, looks like. AGW hype began 30 years ago with deliberately manipulated, fake news. Whichever version of the story one chooses to believe from Tim Wirth, he has proven himself a deceptive scoundrel. A title missing the book and author. Sorry, but could not respond this morning. Comparing this year DMI Greenland SMB value for July 14, and last year’s July 14, the values match. However, the melt rate last year at this time was more than 2x what has been happening the past few days. We shall see what happens. A curiosity…. does anyone have a cross-correlation of Sea Ice Volume, Greenland SMB and Central Arctic (80-90 degrees north) temps? The charts. 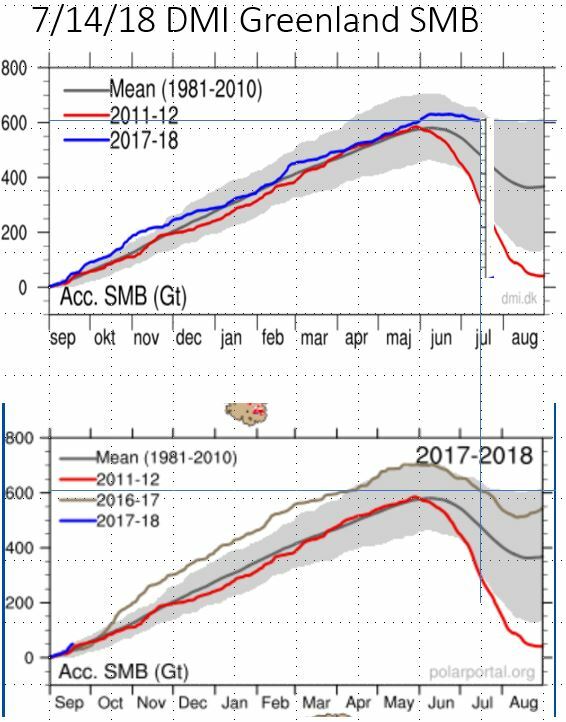 Also, I put a little scale just to the right of the blue vertical date-line, so you could see how far this year is above average (about 125 Gt,) and above the 2012 melt year (about 300 Gt). The cross-hairs on the lower diagram show the corelation of this year and last, and the current values are shown by the horizontal bluelines extended to the scale, at a shade above 600 Gt. With the large mass increases in Greenland the past two years, has there been any change in sea level trends ? If not, at what point do you think we should expect one ?